Please download a copy of our fact sheet which sets out common strategies for mitigating the risks associated with rights of light. You may find that your proposed development doesn’t interfere with rights of light. 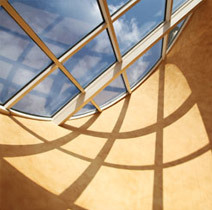 If rights of light are considered from the outset, rights of light can often be designed around. Where it is impractical to design around a right of light, it may be necessary to reach an agreement with the affected parties. Once an agreement has been reached, this should be formalised by deed. In some cases it may be necessary to take out an insurance policy to cover the risk of a compensation claim or injunction. Section 237 gives Local Authorities the power to override a neighbour’s right to seek an injunction. Where the Local Authority exercises their powers it is still necessary to compensate the affect parties for their loss of light. Compensation is based on the compulsory purchase principles.